In a delightful and personal look at life in a large family, the four eldest daughters talk about their faith, their dreams for the future, and what it’s like growing up a Duggar. They share how their family walks through unexpected and difficult circumstances and how they manage to maintain their faith and love their family. This updated edition has new stories and insight In a delightful and personal look at life in a large family, the four eldest daughters talk about their faith, their dreams for the future, and what it’s like growing up a Duggar. They share how their family walks through unexpected and difficult circumstances and how they manage to maintain their faith and love their family. This updated edition has new stories and insights that reflect the experiences of Jill and Jessa—the now-married Duggar daughters—on their exciting journey through courtship, engagement, and marriage. 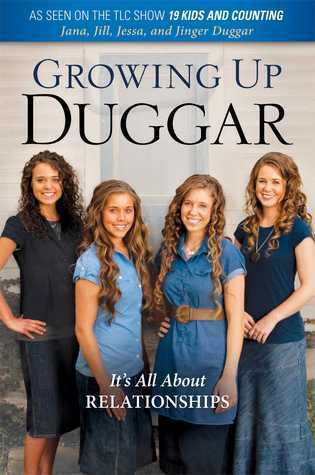 With a backdrop of the key relationships in their lives, the four Duggar girls also open up about their own personal faith and convictions, boys, peer pressure, manners, living in a large family, politics, and much more. You’ll learn how the girls navigate the difficult years between twelve and sixteen, what they look for in a man, life in a big family, and much more—all in a frank and fun book that will inspire teens and adults alike.